Posted by FTR ⋅ November 22, 2005Post a comment Email This Post Print This Post Tweet This! Introduction: In this broadcast, we examine some important and revealing connections of Jeb Bush and Katherine Harris to figures associated with an episode in Argentina’s “dirty war” of the 1970’s and the cover-up of the AMIA bombing of 1994. In addition, the program delineates the relationship of some of these Bush associates to the business and media empire of Gustavo Cisneros—implicated in the 2003 coup attempt against Hugo Chavez of Venezuela and the principal shareholder in Univision, the largest Spanish-language TV network in the United States. Harris and Jeb Bush appointed Argentine citizen Patricio Lombardi to be Florida’s Deputy Secretary of State for Latin American affairs, the first state in the country to have such a position. Lombardi is a former aide to Carlos Ruckauf, a one-time Argentine labor minister linked to the disappearance of dissident Mercedes-Benz workers during that country’s dirty war, as well as the cover-up of the AMIA bombing, a crime that has evidentiary tributaries running in the direction of the Oklahoma City bombing, as well as 9/11. Lombardi has also been associated with the Cisneros media empire and the Greenberg Traurig firm, Jack Abramoff’s former lobbying outfit. The program also sets forth information about Jerry Perenchio, the head of Univision (controlled by Cisneros) and one of Arnold Schwarzenegger’s primary financial backers. Mr. Emory suspects that we are looking at an Underground Reich/Bormann capital network set-up here. In this context, do not lose sight of the government of Carlos Menem and the lengths to which it went to cover-up the Argentine role in the Nazi diaspora and flight capital program in the wake of World War II. For more about this, see FTR#532. Program Highlights Include: Gustavo Cisneros’s alleged links to money laundering; Cisneros’s relationships with David Rockefeller and participants in the 1973 coup against Salvador Allende in Chile; Gustavo Cisneros’s Cuban origins; the strange death of Cisneros’s nephew; the relationship of Buenos Aires province of Argentina to Florida (established by Lombardi with his former boss Carlos Ruckauf, who is now the governor of Buenos Aires province); a look at some of Arnold Schwarzenegger’s interesting financial backers. 1. Beginning discussion of the Florida-Argentine connection, the program highlights the signing of an agreement between the controversial Argentine politician Carlos Ruckauf and governor Jeb Bush of Florida. The agreement will develop economic and cultural ties between Buenos Aires province and Florida. The agreement was hammered out by Patricio Lombardi, an Argentine citizen and a former aide to Ruckauf. Lombardi is now the Deputy Secretary of State for Latin American affairs for the state of Florida, functioning in that capacity as an aide to Katherine Harris, who was instrumental in the stealing of the Florida election on behalf of George W. Bush in 2000! 3. Note that Buenos Aires province has the same type of relationship with Sao Paulo in Brazil and Westphalia in Germany [as noted in the paragraph above]. Note also that a series of student exchanges and scholarships are being set up between Argentina and Florida. These sound curiously like the Carl Duisberg Gesellschaft and its subsidiary fellowships—used to sponsor the professional careers of 9/11 hijacker Mohamed Atta and John P. Schmitz, among others. Is the Florida-Argentine connection—like the Carl Duisberg Gesellschaft and its subsidiary programs—an apparent Underground Reich networking program? In that context, one should not lose sight of the primary economic position of the Bormann capital operation in Latin America. For more about this, see FTR#305. 4. Developing background information about this cast of characters, the program sets forth some of the skeletons in Ruckauf’s closet, including the fact that—as labor minister under Isabel Peron and then the military junta in Argentina—he drew up an accord that led to the “disappearance” of dissident workers at the Mercedes Benz plant in Buenos Aires. 6. Note that Ruckauf was vice-president of Argentina under Carlos Menem. For more about Menem’s suspicious connections, see—among other programs—FTR#’s 109, 328, 340, 457, 532. 10. More about Katherine Harris and Patricio Lombardi. Note that Lombardi (again, an Argentine citizen and deputy to Ruckauf) is the first such “secretary of state” for any state in the union. 12. The broadcast documents the relationship between Greenberg Traurig and Abramoff. 13. 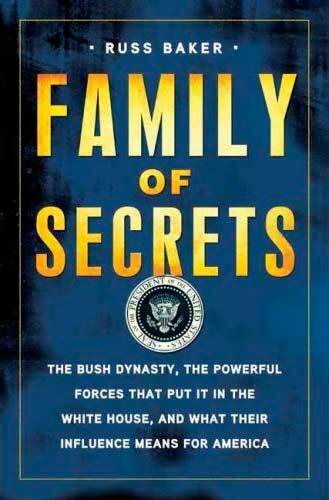 Next, the program sets forth some of the noteworthy characteristics of the corporate and media empire of Gustavo Cisneros, a close associate of the Bushes and one of many men and women of Cuban extraction in the Bush circle of friends. Note the Bush family’s Venezuelan connections. As will be seen below, Cisneros appears to have been deeply involved with the attempt to oust Hugo Chavez in Venezuela. Don’t lose sight of the fact that Lombardi—Deputy Secretary of State for Latin American affairs for Florida, former aide to Carlos Ruckauf and associate of Greenberg Traurig—was deeply involved with the Cisneros group. 14. The broadcast highlights the apparent Cisneros involvement in the coup d’etat against Hugo Chavez. 15. More about Gustavo Cisneros’s vast business and media empire. Again, do not fail to note that he is of Cuban extraction. All of the Bushes, including Jeb Bush, have very close connections to the anti-Castro Cuban community. Do note that he is the largest stockholder in Univision, the largest Spanish language TV chain in the United States. Jerry Perenchio, the head of Univision, is one of the largest financial backers of Arnold Schwarzenegger. 17. After discussing allegations of drug-money laundering by Cisneros, the article featured here discusses the family’s involvement with financial fraud. 18. Cisneros’s nephew (a director of Univision) died of an apparent drug overdose. 19. Note that the Cisneros TV empire is based in South Beach (Florida). 20. The head of Univision (controlled by Gustavo Cisneros) is Jerry Perenchio. Note how secretive he is. Note also that this Italian American got his start—in part—with MCA. Author Dan Moldea has written a superb book about MCA, Ronald Reagan and the mob titled Dark Victory.